Submitted by Calcutta Music on Wed, 05/20/2009 - 13:32. This CD is on sale on WBRi Online Affiliate CD Store. Submitted by WBRi Web Desk on Mon, 05/18/2009 - 21:53. Discover and learn all about the great heritage of one of the oldest musical traditions of human civilization - the South Asian / Indian Classical Music tradition. You can listen free to samples online and download classical songs, music, vocal and instrumental records and CDs from the new web site Shastriya.com. In the meanwhile, we recommend the following selection of books which you may want to buy and read from our online Bookstore. Submitted by Calcutta Music on Mon, 05/11/2009 - 00:50. Ustad Aminul Haque - classical singer & music composer - grew up in Bangladesh and currently resides in Australia. He is also equally adept at other genres of Bengali songs - Nazrulgeeti, Rabindrasangeet, Nostalgia / Nostalgic, Bengali Modern Songs (Adhunik), Kheyal, Thumri. He has a bunch of albums to his credit. International journals have published papers written by him. Ustad Haque is working on a book in English about the theory of Indian Classical Music. Submitted by Calcutta Music on Wed, 04/29/2009 - 19:23. 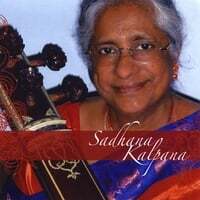 Sadhana Kalpana is a singer and teacher of Hindustani classical music living in the Boston area. She was born in 1943 in Bhagalpur, Bihar, India. She began learning music as a young child from her mother, who was a singer. From this early stage of artistic development, she learned to use pure sound for mental, emotional, and physical healing. Submitted by Calcutta Music on Wed, 04/29/2009 - 05:00. Submitted by Calcutta Music on Sun, 04/26/2009 - 21:02. Submitted by Calcutta Music on Fri, 04/24/2009 - 20:22. 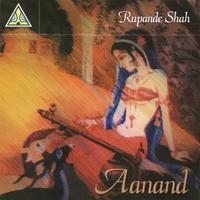 Rupande Shah has a major contribution to the development of cultural and music institutions in Gujarat, India. This live recording from Saptak Festival is an example of her dedication and inspiring performance.